I have a CD of his in my car player right now. So smooth. 1 of 2 players to ever throw a no-hitter in the playoffs, and it was his first postseason start ever. Heck of a pitcher. He was my favorite pitcher - one of the best ever. What a damn shame. Paul Buckmaster-Arranger and Conductor who did string arrangments on Bowie’'s Space Oddity, Elton John’s Levon, Rolling Stones Moonlight Mile and Miles Davis On The Corner amongst many other- some stunning work there by anyone’s estimation. R I P .
Signed a 1 day contract so he could retire a Blue Jay. The news kinda broke our collective hearts. And so begins the way-too-late deification of this brilliant, committed, and far too obscure garage band. Burn the fires. He’s coming home. 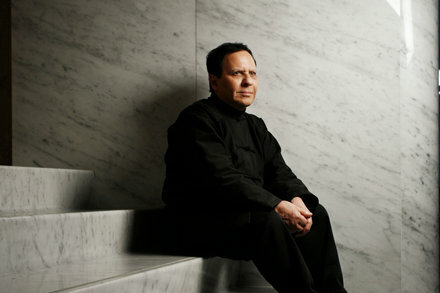 Mr. Alaïa insisted on his freedom and worked, argued and cooked on his own schedule. Pat DiNizio, singer of The Smithereens. aww, that’s sad to hear. My brother loved The Smithereens and we played them a lot back in the day. That guy had a cool voice. Haven’s listened to them in ages, going to play my favorite record of theirs later this evening: Especially For You. Yep, he really did have a great melancholic voice. I only know Especially For You and Green Thoughts, need to check some of their other albums too.